Look, unnamed British narrator, we get that you’re just trying to keep your troops informed. We get that you’re sticking to that whole ‘know your enemy’ shtick. That said, have you considered that maybe, just maybe going into as much detail as you just did isn’t exactly going to boost your troops’ morale or fill them with confidence? Not that morale or confidence ever helped much with a tomahawk to the face, I will concede. From one iconic piece of headgear to another – Michael Fassbender will don the cowl of an Assassin in the big-screen adaptation of Ubisoft’s acclaimed series. It doesn’t stop there, though – he’ll also be co-producing the movie, through his DMC Film label, alongside Ubisoft Motion Pictures. Hopefully, this means that the Fass is aware of the…less-than-stellar history of game-based movies, and subscribes to the whole ‘If you want something done right…’ school of thought. Details are few and far between at this stage, although we do have the following tidbit from Variety – the story “revolves around a man who learns his ancestors were trained assassins after he is kidnapped by a secret [organization] with ties to the Knight Templar, and sent back in time to retrieve historical artifacts.” So, basically Assassin’s Creed then. 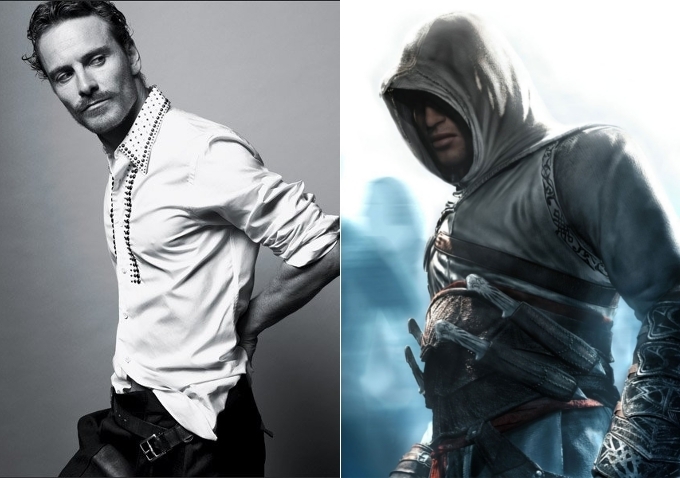 The CEO of Ubisoft Motion Pictures reveals that Fassbender was their ‘first choice’ to play the lead role. That makes sense; really, at this point, it’s probably worth questioning your reasoning if Fassbender isn’t your first choice for anything ever. Let’s not forget that this is merely the latest salvo in Fassbender’s relentless assault upon the geek consciousness. Besides his aforementioned portrayal of Magneto, he’s had roles in Band of Brothers, 300, Inglourious Basterds and Prometheus. Any way you slice it, that’s an impressive resume; which is partly the reason I feel slightly more optimistic about this than I would’ve otherwise. Yes, Hollywood adaptations of games have had a chequered history, but Fassbender might just break that cycle. Ah well, we’ll have to wait and see; and, given that this has only just been announced, we’ll be doing a lot of the former before we get a chance at the latter. Given that Assassin’s Creed III deals with the period of chaos surrounding the creation of the United States of America, it would have been practically treasonous to not have a trailer out on the 4th of July. ‘Independence’, that shiny bundle of patriotism up there, manages to do what every other trailer for Assassin’s Creed III has done till date – i.e., make October 31st seem even further away. Let me just get one thing out of the way before discussing this new teaser for Assassin’s Creed III – I hate stuff like this. No, not the teaser – as you’ll see, it’s quite good, which only makes it worse. I HATE this ‘like us on Facebook to unlock the full trailer’ business; which, as you might have guessed, is what Ubisoft wants you to do in order to discover the fate of that stricken Redcoat up there. It’s probably not going to end well for him (on the basis of every single game in the series so far), but still. Call me a child of the instant-gratification generation, but I do not wish to jump through hoops to get more stabby. You hear me, Ubisoft? Give us the stabby. Set against the backdrop of the American Revolution in the late 18th century, Assassin’s Creed III introduces a new hero, Ratohnaké:ton, of Native American and English heritage. Adopting the name Connor, he becomes the new voice for justice in the ancient war between the Assassins and Templars. Players become an Assassin in the war for liberty against ruthless tyranny in the most stylized and fluid combat experiences in the franchise to date. Assassin’s Creed III spans the Revolutionary War, taking gamers from the vibrant, untamed frontier to bustling colonial towns and the intense, chaotic battlefields where George Washington’s Continental Army clashed with the imposing British Army. Assassin’s Creed III is powered by Ubisoft-AnvilNext, a revolutionary new game engine that delivers breakthroughs in visual quality, character models and artificial intelligence. Assassin’s Creed III will feature a ground-breaking level of stunning graphics that bring Colonial America to life. 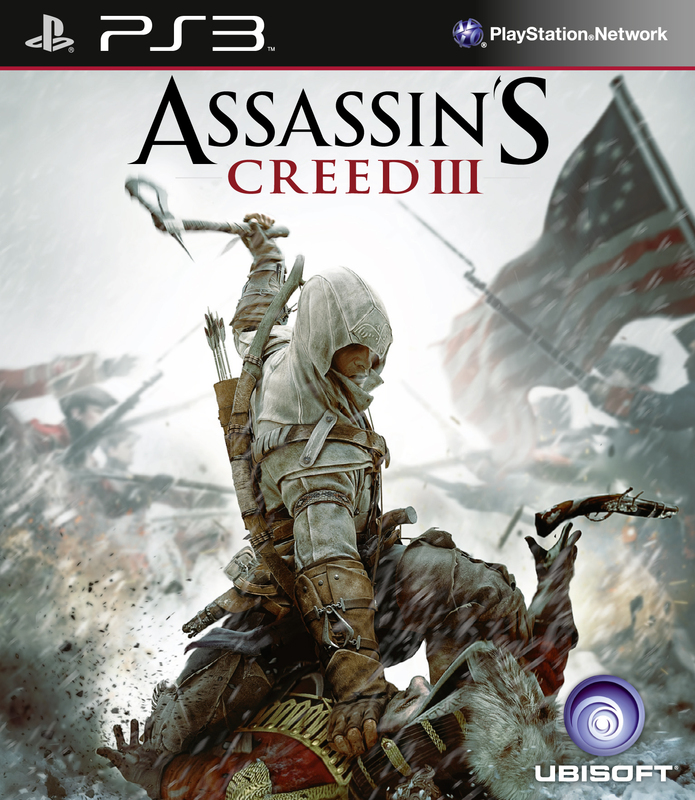 After weeks of speculation, Ubisoft finally released a picture of the Assassin’s Creed III box art via Twitter. Shortly after Ubisoft’s reveal, Game Informer went public with the news that Assassin’s Creed III will grace the cover of their next issue, as seen below.